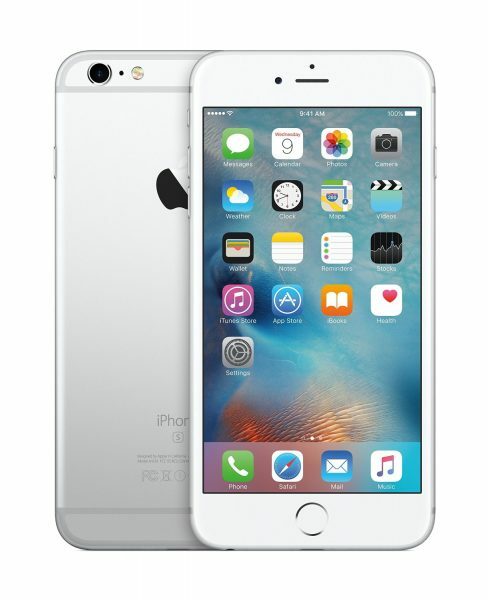 The Apple iPhone 6S Plus has been released along with the iPhone 6S at a huge event on September 9, 2015. Pre-orders for the Apple iPhone 6S Plus start on September 12, 2015 and the device will be available from September 25, 2015. The Apple iPhone 6S Plus is a very expensive smartphone. A very good case/cover is mandatory to protect your iPhone 6S Plus from accidental falls and scratches. Listed below are the top 10 best Apple iPhone 6S Plus cases and covers. 1. Verus Layered Dandy Apple iPhone 6S Plus Wallet Case Flip Cover: The Verus Layered Dandy Apple iPhone 6S Plus Wallet Case Flip Cover is a very good looking and sophisticated dual-tone wallet case. The Verus Layered Dandy Apple iPhone 6S Plus Wallet Case Flip Cover features 3 card slots and a money pocket. 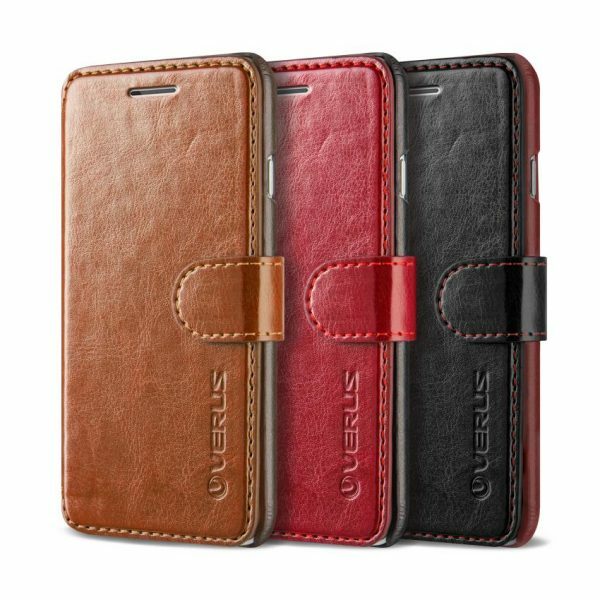 The Verus Layered Dandy Apple iPhone 6S Plus Wallet Case Flip Cover is available in 4 colors. 2. Spigen Neo Hybrid Apple iPhone 6S Plus Case: The Spigen Neo Hybrid Apple iPhone 6S Plus Case is a premium looking case for the very premium iPhone 6S Plus. 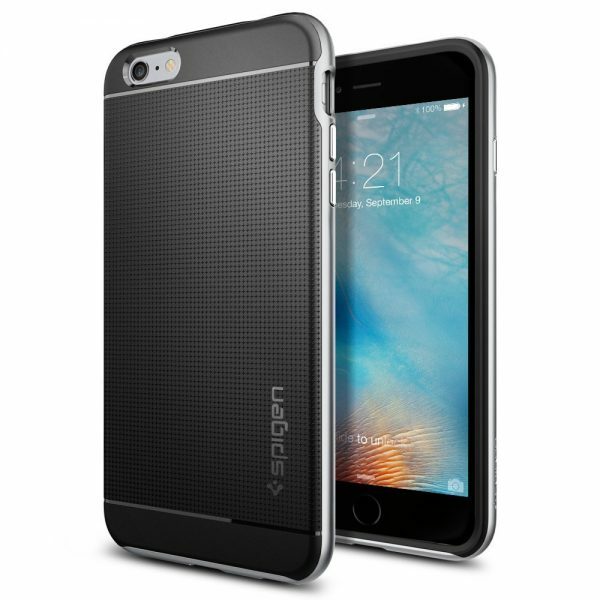 The Spigen Neo Hybrid Apple iPhone 6S Plus Case offers a slim fit and the metallized buttons add a premium touch to the case. The Spigen Neo Hybrid Apple iPhone 6S Plus Case is available in 3 different color bumpers. 3. Speck Products CandyShell Grip Case for Apple iPhone 6S Plus: The Speck Products CandyShell Grip Case for Apple iPhone 6S Plus meets military-drop test standards and offers a no-slip grip. 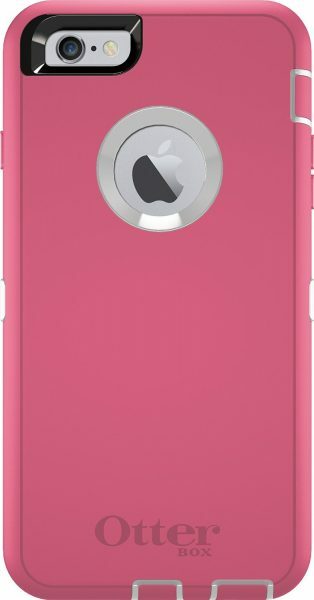 The case is available in 2 colors: quartz pink and shadow blue. 4. 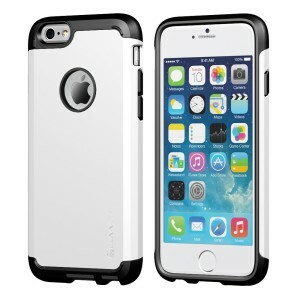 OtterBox Defender Apple iPhone 6S Plus Case: The Apple iPhone 6S Plus is a very expensive smartphone. 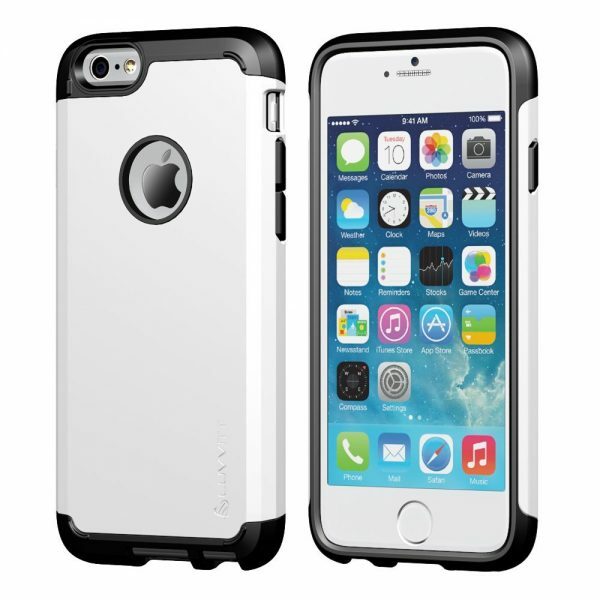 The OtterBox Defender Apple iPhone 6S Plus Case offers extreme triple-layer protection to your iPhone 6S Plus from drops, bumps, shocks and scratches. The OtterBox Defender Apple iPhone 6S Plus Case gets a belt clip holster and a built-in screen protector. 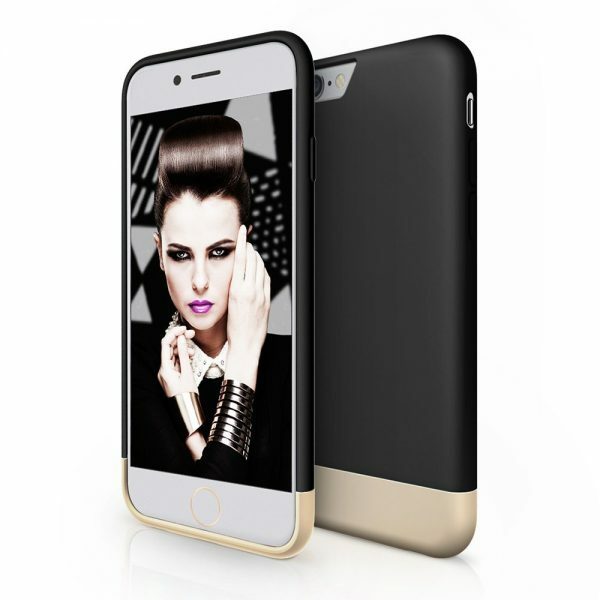 5. iVapo Apple iPhone 6s Plus Leather Case: The iVapo Apple iPhone 6s Plus Leather Case is a premium flip case folio cover with a card slot. 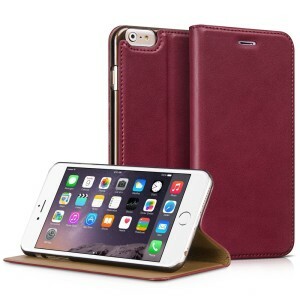 The iVapo Apple iPhone 6s Plus Leather Case is available in 4 colors. 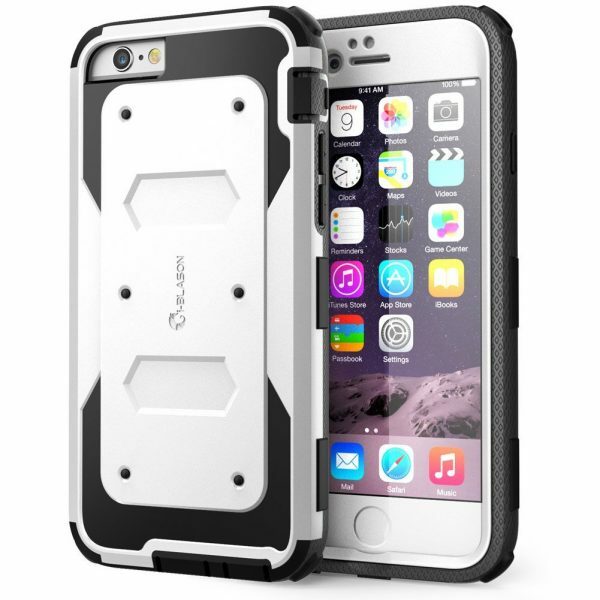 6. i-Blason Armor Box Apple iPhone 6S Plus Case: The i-Blason Armor Box Apple iPhone 6S Plus Case provides excellent protection to your smartphone from drops, bumps and scratches without adding much bulk to it. The shock absorbing bumper protects from drops and the built-in screen protector guards against scratches on the display. The i-Blason Armor Box Apple iPhone 6S Plus Case is available in 5 different colors. 7. Supcase Unicorn Beetle Pro Apple iPhone 6S Plus Case: The Supcase Unicorn Beetle Pro Apple iPhone 6S Plus Case is an easy-to-install tough, rugged smartphone case equipped with a belt clip swivel holster and a built-in screen protector. 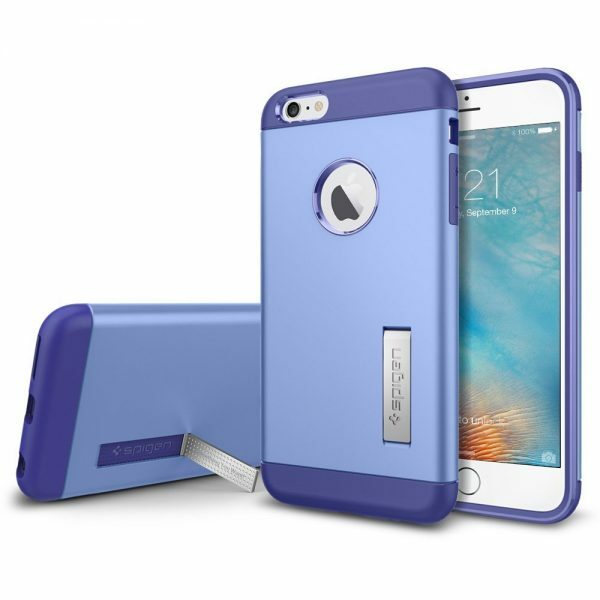 The Supcase Unicorn Beetle Pro Apple iPhone 6S Plus Case is available in 5 colors. 8. 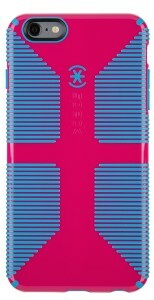 Verus Thor Apple iPhone 6S Plus Case: The Apple iPhone 6S Plus is a large smartphone. The Verus Thor Apple iPhone 6S Plus Case offers a slim fit and the curve provides a comfortable grip. The Verus Thor Apple iPhone 6S Plus Case is available in 5 colors. 9. 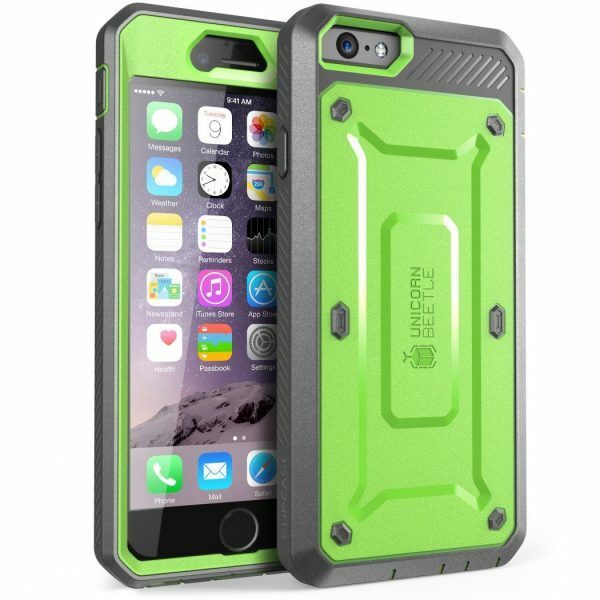 Spigen Apple iPhone 6S Plus Slim Armor Case: The Spigen Apple iPhone 6S Plus Slim Armor Case meets military drop-test standards using air cushion technology. The Spigen Apple iPhone 6S Plus Slim Armor Case features a built-in kickstand and is available in 5 different colors. 10. RooCase Prestige Folio Apple iPhone 6S Plus Wallet Case Flip Cover: The RooCase Prestige Folio Apple iPhone 6S Plus Wallet Case Flip Cover looks great and is made from premium synthetic leather. 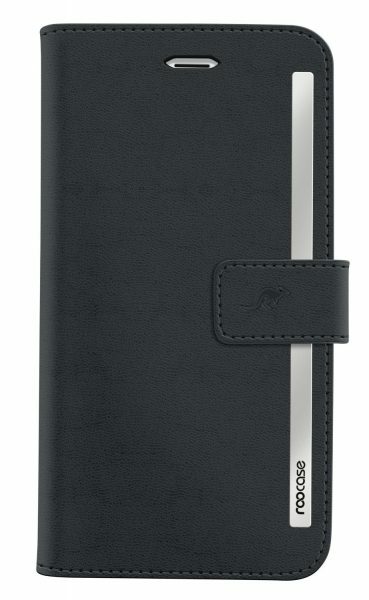 The flip case folio cover is ultra-slim, lightweight and features a magnetic strap, 3 card slots and a cash pocket. 11. 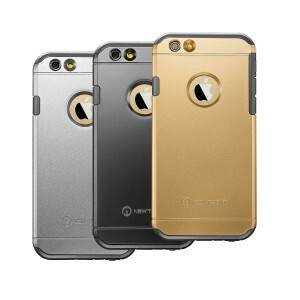 New Trent Trentium 6L Apple iPhone 6S Plus Case: The New Trent Trentium 6L Apple iPhone 6S Plus Case comes with 3 interchangeable back covers. 12. Luvvitt Ultra Armor Apple iPhone 6S Plus Case: The Luvvitt Ultra Armor Apple iPhone 6S Plus Case offers a perfect fit and the sleek case meets military test standards. 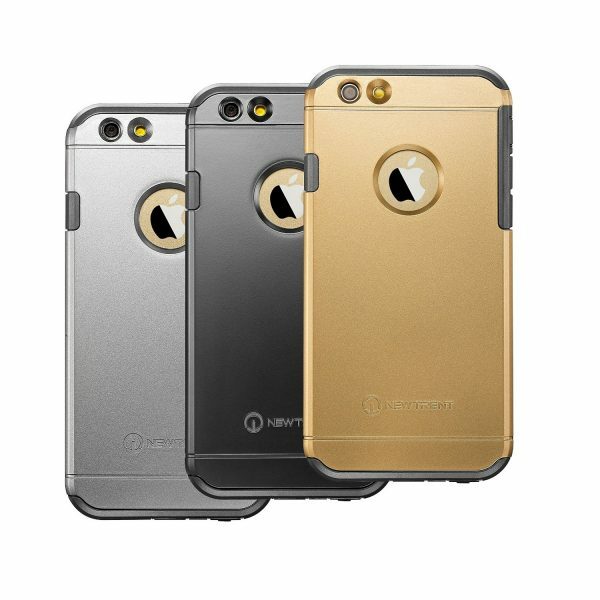 The Luvvitt Ultra Armor Apple iPhone 6S Plus Case is available in 10 different colors. 13. 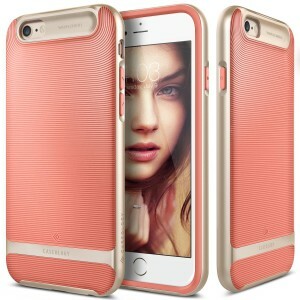 Caseology Wavelength Series Apple iPhone 6S Plus Textured Pattern Grip Cover: The Caseology Wavelength Series Apple iPhone 6S Plus Textured Pattern Grip Cover is a very attractive case that offers excellent grip. The Caseology Wavelength Series Apple iPhone 6S Plus Textured Pattern Grip Cover is available in 4 colors. 14. Maxboost Vibrance Series Apple iPhone 6S Plus Case: The Maxboost Vibrance Series Apple iPhone 6S Plus Case looks amazing with its metallic finished base. The Maxboost Vibrance Series Apple iPhone 6S Plus Case is available in 6 vibrant colors. 15. Obliq Naked Shield Apple iPhone 6S Plus Crystal Clear Case: The Apple iPhone 6S Plus is a very beautiful smartphone. The Obliq Naked Shield Apple iPhone 6S Plus Crystal Clear Case lets you show off the original looks without compromising on protection. 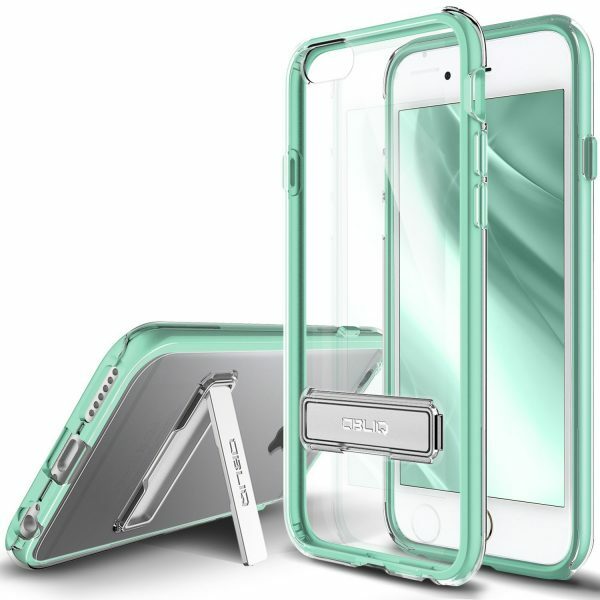 The Obliq Naked Shield Apple iPhone 6S Plus Crystal Clear Case is available in 4 different colored bumpers. These are the top 10 best Apple iPhone 6S Plus cases and covers.